Your Long Locks are One-of-a-Kind. Shouldn't Your Hair Jewelry Be? Shop our catalog of exquisite hair accessories, meticulously handcrafted by jewelry artist Susan Maxwell Schmidt. 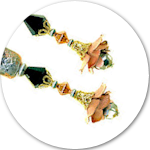 LongLocks hair jewelry is designed with luxurious components, among them vintage and contemporary art glass, Swarovski crystal, genuine gemstones and precious metals. 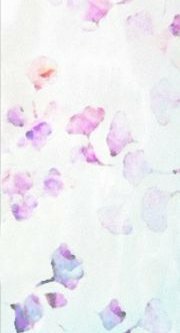 Well over 10,000 one-of-a kind LongLocks HairSticks designs have been collected worldwide since 1999! LongLocks' tutorials humorously explore everything from making organic hair products at home with our Hair Care Cookbook, to keeping locks of any length beautiful with our helpful Top 10 Tips for Healthy Hair, to our tremendously popular (and very effective) Ultimate Guide To Growing Long Hair, and everything inbetween! 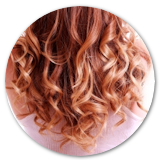 Enjoy entirely free access to all our great hair-related articles and tutorials! 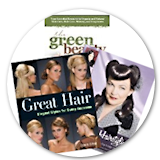 Learn every aspect regarding hair and its care, or even discover how to start your own hair-related business, with the media resources found in our comprehensive and carefully curated LongLocks Library! You'll find information on everything from hairstyling to the salon industry, as well as a wide range of information relating to the historical aspects of hair from social mores to hairstyling methods used through the ages, plus a whole lot more!